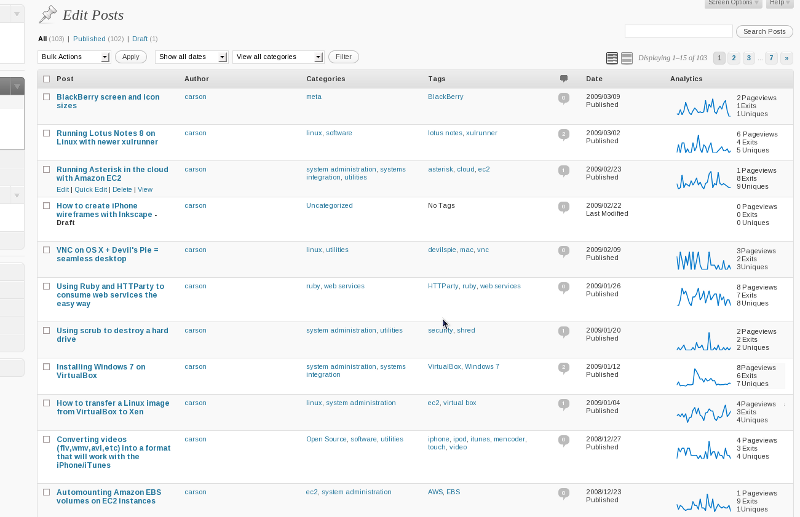 December 2nd in Wordpress Plugins by Wordpress Jedi . WassUp for WordPress: provides you with real time statistics on your traffic. It shows you exactly what your visitors are doing on your website. 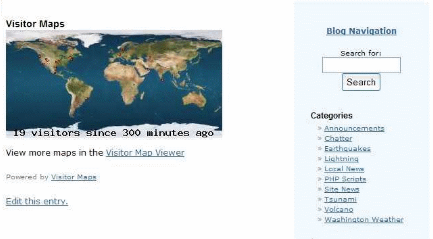 Visitor Maps and Who’s Online: it shows your visitors who are online in your sidebar. It also displays the location of your visitors on a map. Counterize: it keeps track of your visitors’ stats on your site. 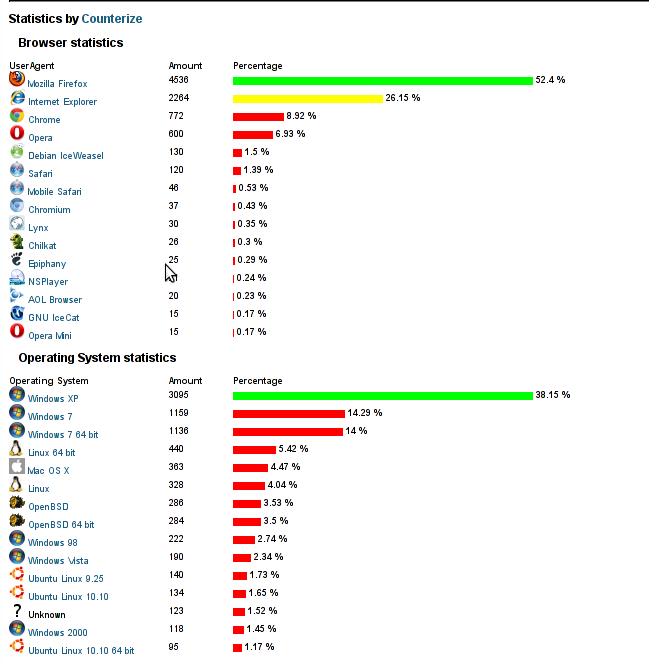 It records visitor IP, country, browser, operating system, and keyword stats. Google Analytics Dashboard: gives you access to your Google Analytics data in your dashboard. It saves you the trouble of having to log in to your Google Analytics dashboard. WordPress Download Monitor: those of you who run popular blogs probably share reports and other types of download links with your visitors. 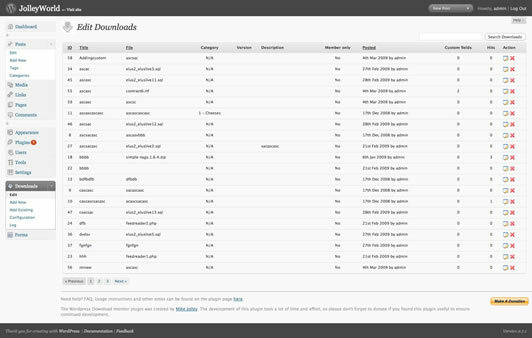 This plugin keeps track of your downloads. There are plenty of other ways you can go about monitoring your website’s traffic. The above plugin get you started quickly. Nice collection. I hadn’t come across the Wassup plugin. Going to go and see how it performs.